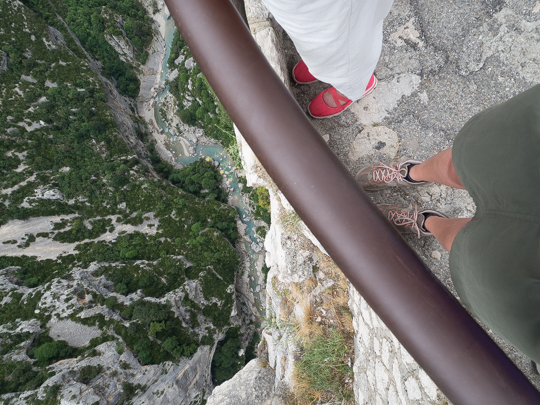 This is the fourth installment of my posts detailing my Corsica & Provence trip this summer. 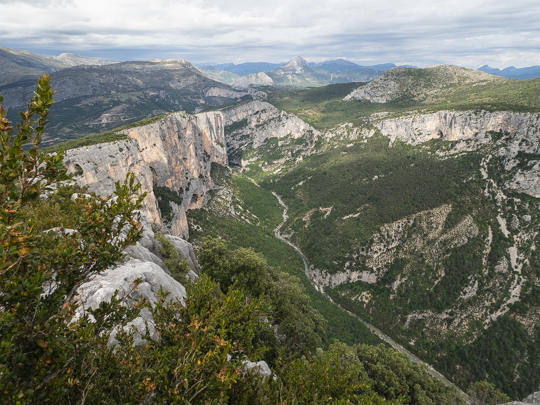 As you recall from the first three installments, we started in Bonifacio (Southern Corsica), then spent a few nights in the mountains of central Corsica, then three nights in Bastia (Northern Corsica). 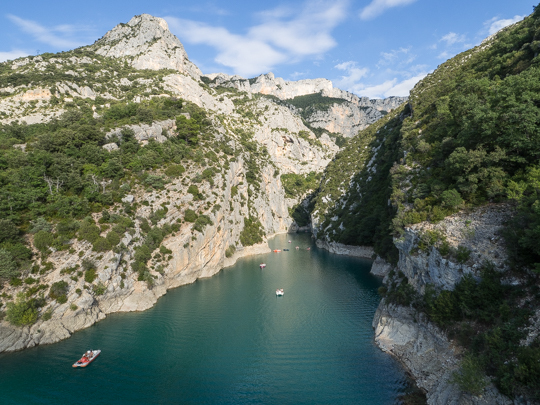 Although this visit to Saint-Paul de Vence and the Gorges of Verdon in Provence was part of a longer trip, each installment of this itinerary is designed so that it could be done as a separate weekend trip from Paris or from elsewhere in Europe. We had lunch near the ferry port in Nice, then took a taxi to the train station where we rented a car (from the Europcar office but via Autoeurope.com as we had done in Corsica). We then drove northwest to the walled town and artists’ haven of Saint-Paul de Vence. 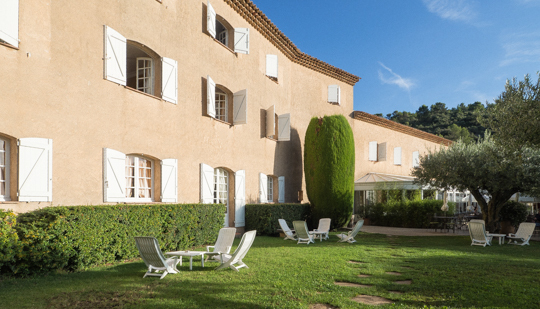 Our hotel, Le Hameau, is on a gorgeous property only about a half mile from the old town of Saint-Paul de Vence. I highly recommend it. Be sure to save some time for just exploring and enjoying the grounds! 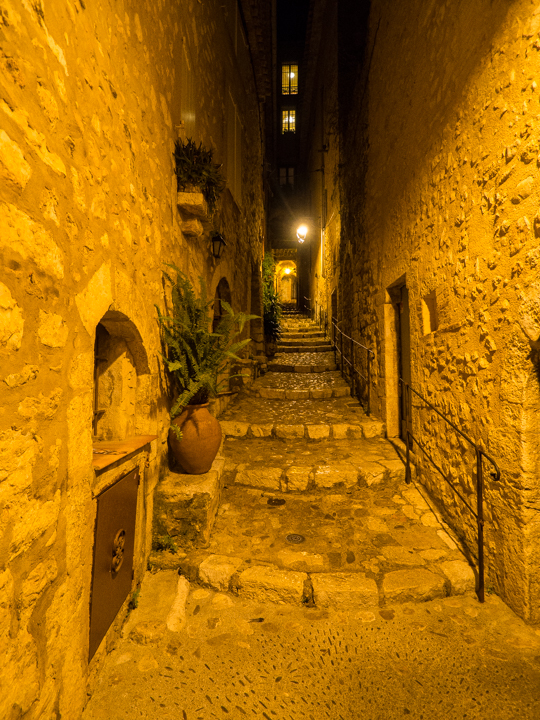 St. Paul de Vence is a beautiful medieval town but it can be quite touristy during the day. We decided to explore in the evening, after the bus tours had left. 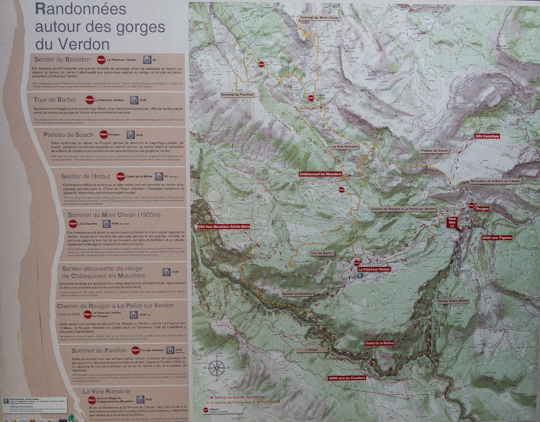 We left Le Hameau in the morning and drove up to Castellane for lunch, then spent a few hours driving the northern rim and circuit of the Gorges du Verdon (the D952 and the circular D23 then back to the D952 up to Moustiers-Sainte-Marie). 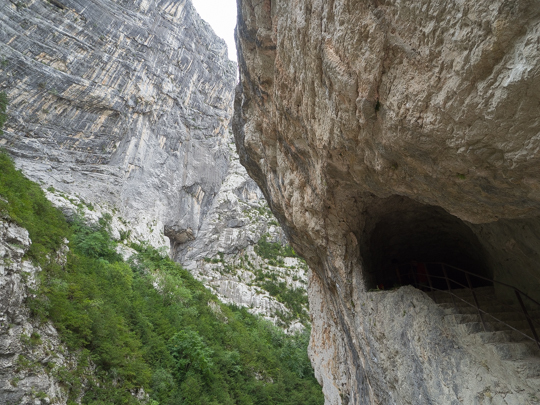 The village of Moustiers-Sainte-Marie and the nearby Lac de Sainte-Croix are worth a stop. You can paddleboat in the lake if you like. After exploring the gorges, we stayed at Bastide Du Calalou, a beautiful property in a small village. There’s a wonderful pool and a number of gardens to explore, and a great terrace if the weather is warm enough for outdoor eating. We had dinner indoors but breakfast on the terrace. I highly recommend having dinner at the Bastide’s (fancy) restaurant. Hotel guests get a special rate on the prix fixe dinner + breakfast that’s an excellent deal. Stay tuned next week for the last leg of this trip. And remember, you can see all my photos from this trip here!